Anybody that knows me, knows how much I LOVE great smelling products. Whether it be for the home, for my body, or even my laundry. A few years ago I discovered Scentsy. They carry a huge line of smell-goods, for just about anything you can think of. What makes Scentsy so unique, is that they are SAFE to use. There's no candles that can burn your house down, and their warmers can be left on for literally 24/7. Amazing. 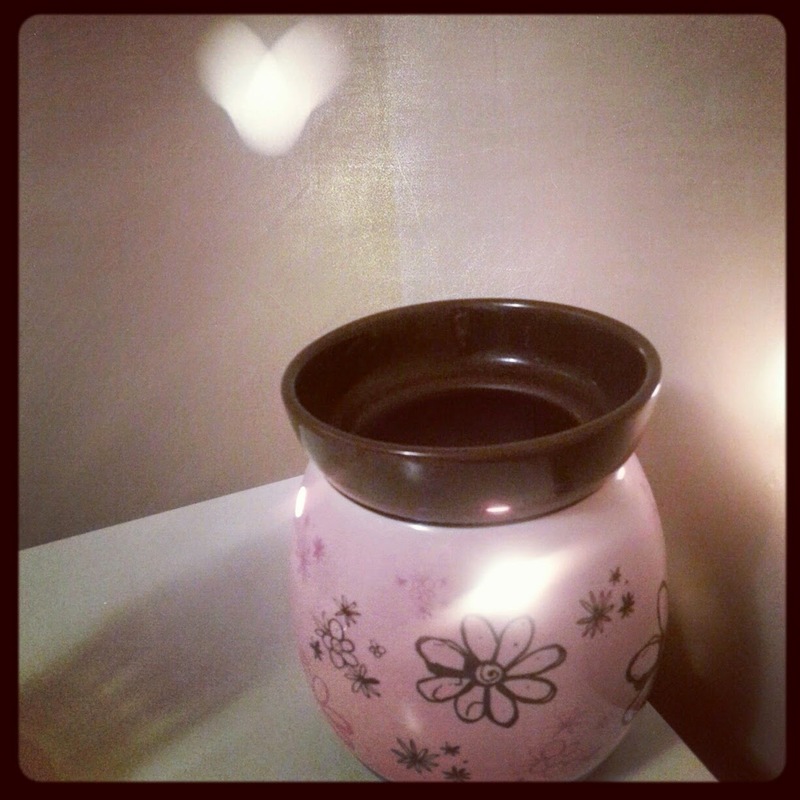 As you can see from the photo above, I have a wax warmer sold by Scentsy. This specific warmer I purchased 2 years ago, and I don't think is available anymore, but they have a HUGE selection of other warmers that they sell. I love that the light cast makes a heart shape on the wall! The idea of a warmer is that these ones have bulbs, and in the top plate/bowl, you add your wax melt. These ones sold by Scentsy come in bars. Anyway, the bulb at the bottom of the warmer, warms just enough to melt your wax, and this releases smell good scents ALL throughout the house. They have any scent you can think of. Some of my personal favouites are blueberry cheesecake, pumpkin roll, lucky in love, skinny dippin', and so many many more. A lot of scents are carried year round, but they also have special limited edition scents for spring and summer, and also fall and winter scents. They really have something for just about anyone, and for any room in the house. They also have warmers that are smaller plug ins, so if you don't have space on a table top, it just plugs right into the wall outlet. They also have warmers now that don't have a bulb, so if you're in a dorm and can't have them, these new element warmers warm your wax, without the bulb. So creative! I absolutely love my wax warmer. I love pretty much every single wax bar that I have, and I have a lot lol. I probably have upwards to 30 scents. I know. It's a lot. Scentsy also carries a line of plush animals that you can place a "scent pak" into, and they will smell like your favourite scent. These are adorable. People also use these scent paks in the car as an air freshener, instead of those ugly looking trees! They also carry a laundry line which consists of detergents, washer whiffs (which are pretty much the downy unstoppables - but MUCH better smelling, and a better selection) and dryer disks, which keep your clothes smelling amazing for weeks. And I'm not just saying that - as a customer only, I love them and I don't think I could ever go back to regular laundry products again. My clothes smell like black raspberry vanilla - where else can you find that?! Scentsy also has a large line of body products. This is called their Layers line. They have body wash, hand soap, hand sanitizers, and even more. I personally love the body wash as it lathers so well, and it doesn't give me hives, like I experience with SoftSoap body wash. I've gone through a few bottles of these myself! 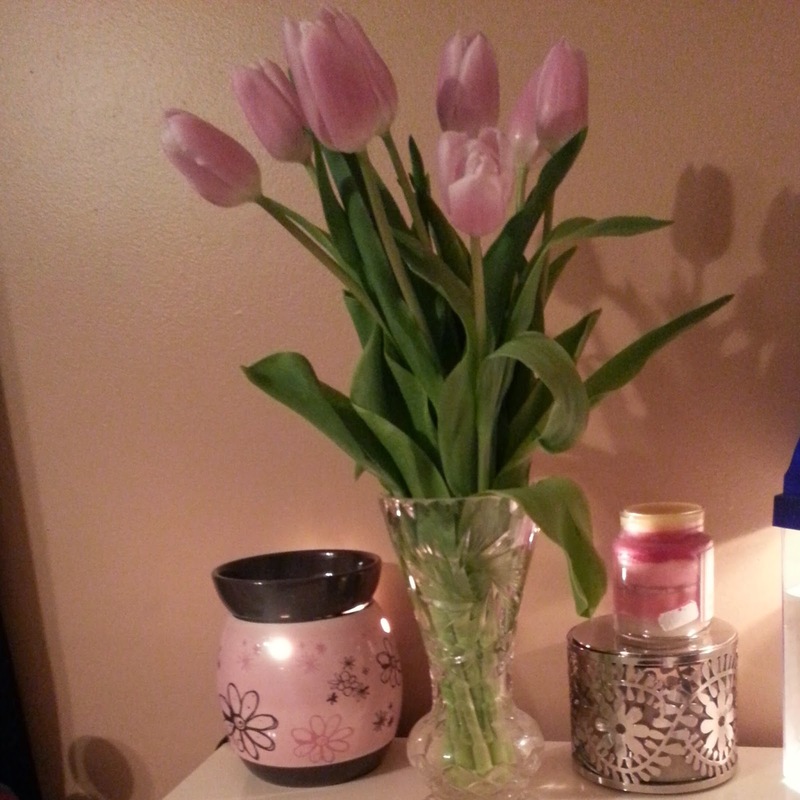 I absolutely recommend Scentsy to anyone who loves great smelling products, and smelling great themselves. There are so many products that I have still yet to try, and look forward to trying them soon! I love scentsy - my favorite is the sugar cookie! Sugar cookie is another good one! There are so many that are great!